This is a view of the front of our Straight Bar. We used brass rail as a foot rail and an arm rail on this example (just like in Cheers). 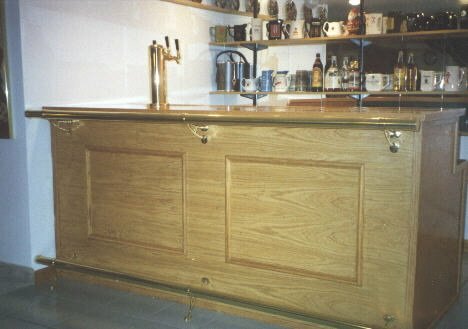 Other options include using oak coved arm rest molding, or simply extending the bar top.